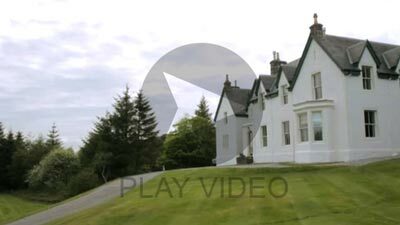 Loch Assynt Lodge is a grand Victorian hunting lodge located in the beautiful landscape of Loch Assynt in Sutherland, Scotland. The Lodge features a large dining room with seating for up to 14 guests, eight large bedrooms (5 doubles, 2 twins, bunk room sleeping 4), and three bathrooms furnished to the highest standard. Whether it's for stalking, shooting, fishing, or walking, deserted white beaches or snow capped mountains why not come and relax in the heart of stunning North West Sutherland and experience firsthand one of the last truly wild and magnificent places left in Britain. Please browse our site for information on the lodge, the landscape, stalking & fishing and contact us for further enquiries and booking.